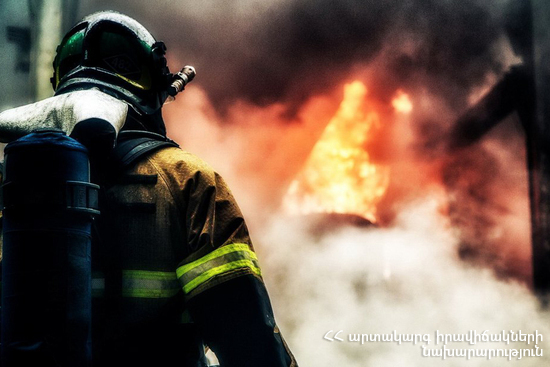 On April 12, at 10:09 an emergency call was received to “911” service that a wooden henhouse and a barn were burning in the area adjacent to a semi-constructed hotel in Noyemberyan town, Tavush province. It turned out that the fire had broken out in the wooden henhouse (about 21 m2) at 1 Khanjyan street of Noyemberyan town. The fire was isolated at 10:43 and extinguished at 10:48. The henhouse completely burnt.